Training is an important part of any cleaning operation. Building service contractors and facility managers must ensure their workers can do their jobs effectively and safely. In an industry with high turnover, however, it’s easy to rush the process, but skimping on training will cost you down the line. A strong, standardized program of training can be used over and over again without reinventing the wheel with each new hire. A solid program is also important for keeping current employees up to date on changing cleaning standards, products, and technology, and helping them build new skills or brush up on old ones. Here are 12 essential elements of a top-notch training program. Does yours stack up? If you’ve been in the business a long time, cleaning is probably second nature to you. Unfortunately, your expertise can be a liability because you can mistakenly assume your employees share your understanding about various tasks or steps. Document clear, direct steps for every single task your employees must perform, no matter how basic. There are three common learning styles—visual (learn by seeing), auditory (learn by listening), and tactile (learn by doing). If your training doesn’t address all three, some of your employees may not fully grasp the subject matter. Every training session should include a discussion, photos or video, and a hands-on demonstration. Language barriers can cripple the effectiveness of any training program. If you employ non-native speakers, their safety and effectiveness can be severely compromised by misunderstandings. Have a translator available, provide checklists and manuals in your employees’ native languages, and look for opportunities to use color coding or other visual aids. Worksheets, manuals, and training videos all have their place in a training program, but don’t overwhelm participants with too much information. Avoid the “wall of text” effect by breaking materials into bite-sized chunks. Bullet points are much easier to absorb than rambling paragraphs, for example. 5. Go beyond “how” and tell them “why”. If you want employees to stick around, it’s important to help them feel engaged and respected. “That’s just how we do it” or “because I said so” are lousy motivators. If you ask someone to follow rules without explaining why, they are more likely to eventually skip steps. Taking the time to explain how each part of a task contributes to a building’s health and safety makes them feel like an integral and valued part of the team. If employees feel rushed or pressured during training, they’re less likely to remember what they’ve learned. Let them practice each task as many times as they need; some people may need five to seven repetitions before feeling confident. After training, give them time to review and continue practicing on their own (this can be helpful for people who are uncomfortable being watched). Your suppliers can often provide valuable training materials available for their specific products. Take advantage of these resources. Even better, ask if they are willing to provide in-house demonstrations and specialized instruction. 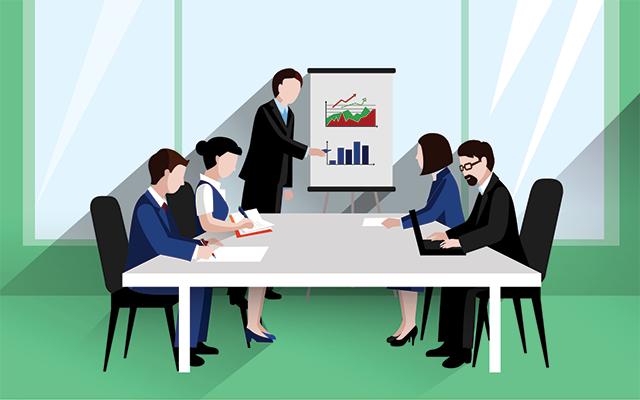 Having an expert on hand to answer questions and guide employees can be a valuable addition on on-the-job training. Janitorial training is a serious subject, especially when dealing with issues of safety, but it doesn’t have to be dull. Use humor where appropriate and encourage laughter during training sessions. Make an event out of training so it becomes something employees look forward to (consider providing lunch or snacks, or maybe even offering a reward for completion). Training can be a vulnerable moment for employees. New hires are anxious to make a good impression, and existing workers may worry that training is a signal that they aren’t performing up to standard. Regular feedback is less stressful than infrequent criticism, so look for opportunities to comment as you go rather than waiting for a single one-on-one talk at session’s end. Choose your words carefully, be mindful of your tone, and get specific: “Make sure you lift up the drain trap when disinfecting” is much better than “You need to be more thorough.” When correcting an employee, try to sprinkle some praise in with the criticism. Employees respond best to training that benefits them beyond the immediate goals of a cleaning program. If possible, offer additional classes on topics like customer service, leadership, effective communication, or workplace technology. Employees appreciate professional development opportunities that can help them not only in their current jobs but also with their long-term career goals. If you begin each session with a list of skills each participant should have learned by the end, you have a tool to determine the effectiveness of the training. Observe employees at intervals after training to see how much they retained. If certain skills or tasks fall through the cracks on a regular basis, you may have areas of the training program that need shoring up. Formal training is invaluable, but some of the most important lessons are learned on the job. This type of coaching is extremely valuable. On-the-spot demonstrations delivered at the right moment can be worth an hour in classroom training. Encourage managers to serve as mentors for their workers—an engaged supervisor creates engaged employees. Training is one of those areas where small changes can have a huge impact on your business. A great training program pays dividends—you get a higher quality of work, faster cleaning times, more satisfied clients, and happier workers. 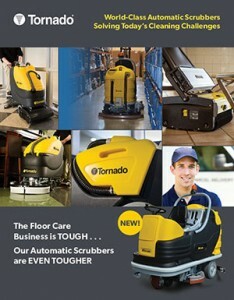 Tornado Industries offers a unique opportunity for customers to use our products before purchasing. In your facility, or ours, meet with a local Tornado rep today.